I've been using ABA's clamps for over ten years now and, in my opinion, they are still the best on the market. 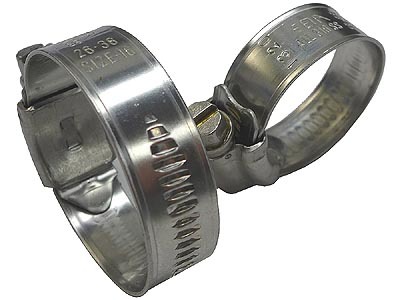 The Mini Clamps are great for securing fuel and other small hoses (with an outer diameter of less than 17mm). 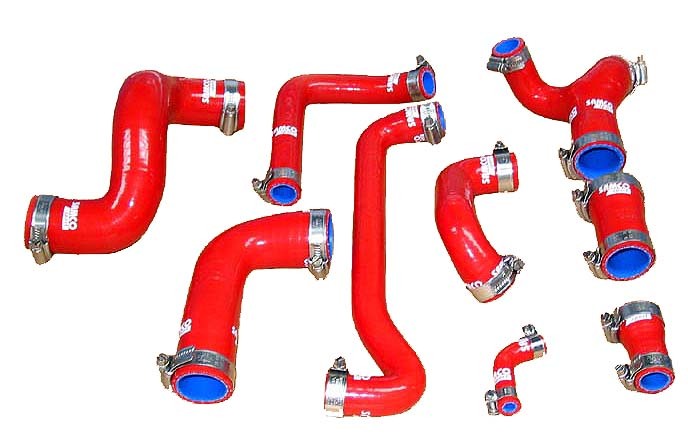 The Rubber Sleeve Clamps work well at securing air lines along with other piping & hose to walls in the shop. 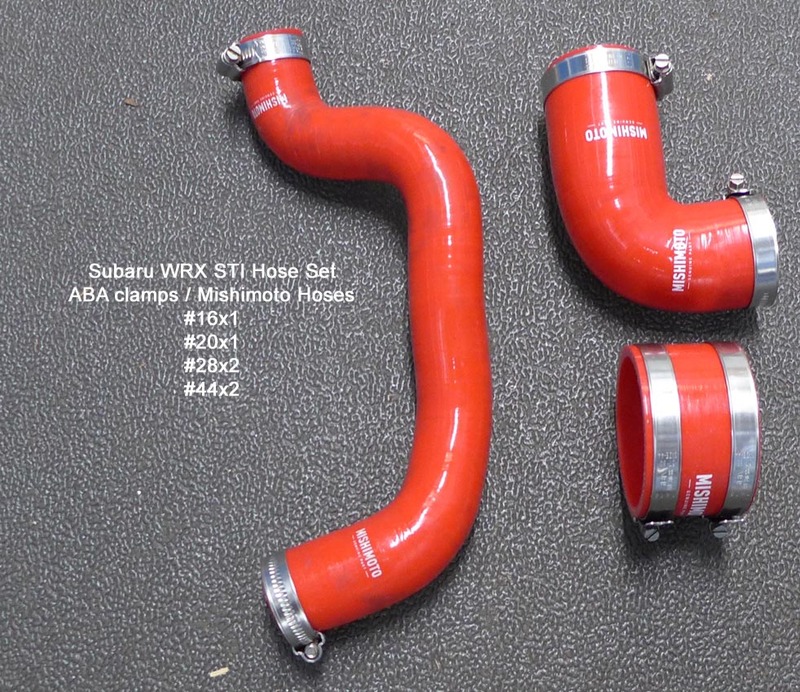 The ABA Original Clamps with their wide smooth and rolled bands and stainless steel construction are the best coolant hose clamps you'll find anywhere. 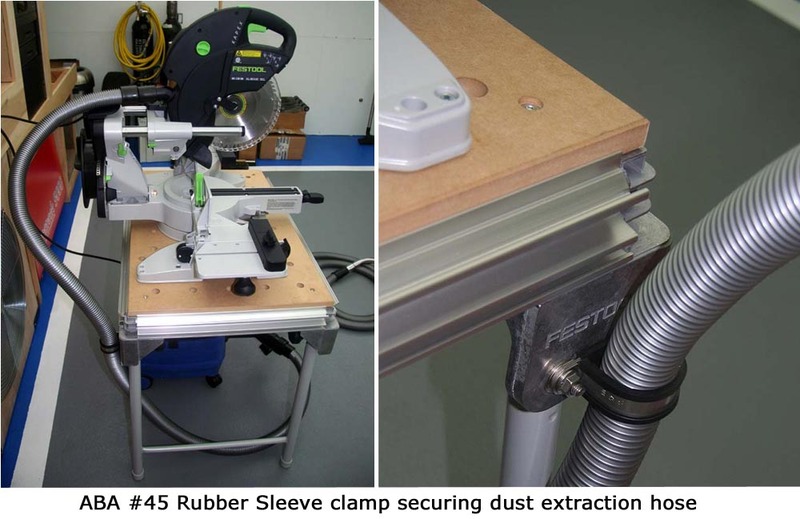 The key to a well engineered clamp is to provide maximum and uniform clamping force with minimal installation torque. ABA consistently outperforms competitive clamps as measured with a simple two segment load cell tester. 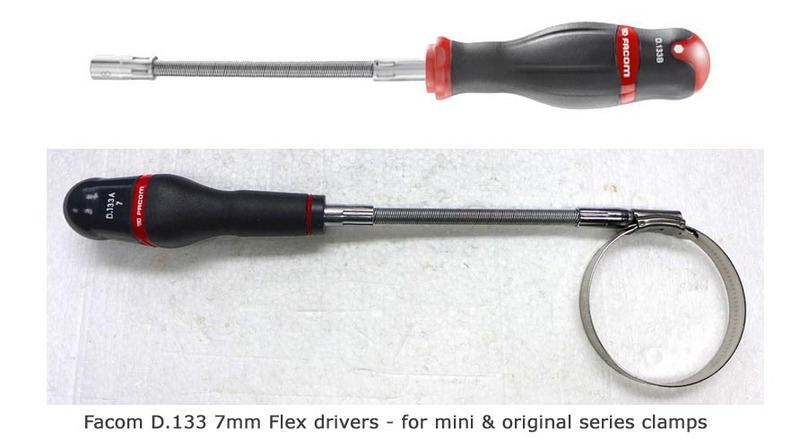 The relation between the input reading on the torque wrench and the digital output display of the load cell tester enables direct comparisons between various hose clamps. Clamping force is vital to prevent leakage or blow-off. All ABA clamps sold by Ultimate Garage are 100% stainless steel. Beware of cheaper brands that utilize a stainless steel band with a carbon steel screw....mixing the two materials can result in galvanic corrosion and premature clamp failure. Finally, choose and use the clamps properly. Size the clamp so that approximately 1/8" (3-4mm) of band protrudes beyond the worm drive when the clamp is fully tightened. 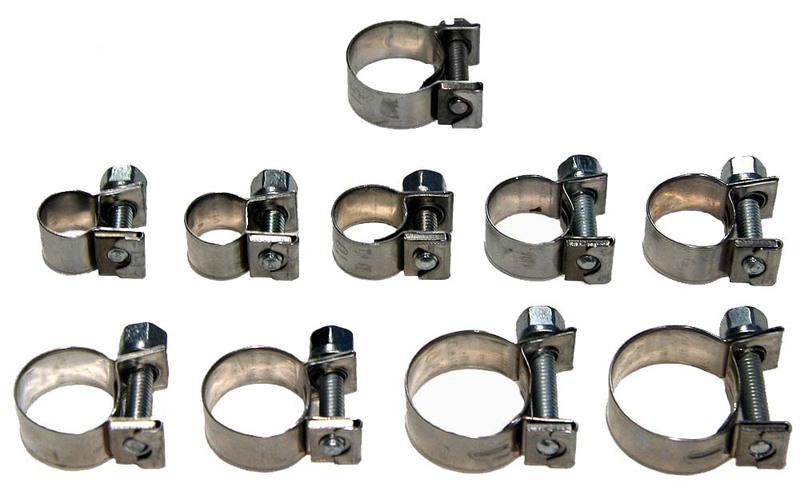 Clamps should be torqued properly to assure proper seal - for all ABA Mini clamps & Original Clamps through size #6, use 25-30 inch pounds; for Original Clamps sizes #8 through #16, use 30-40 inch pounds and for sizes #20 and higher, tighten to 40-45 inch pounds. 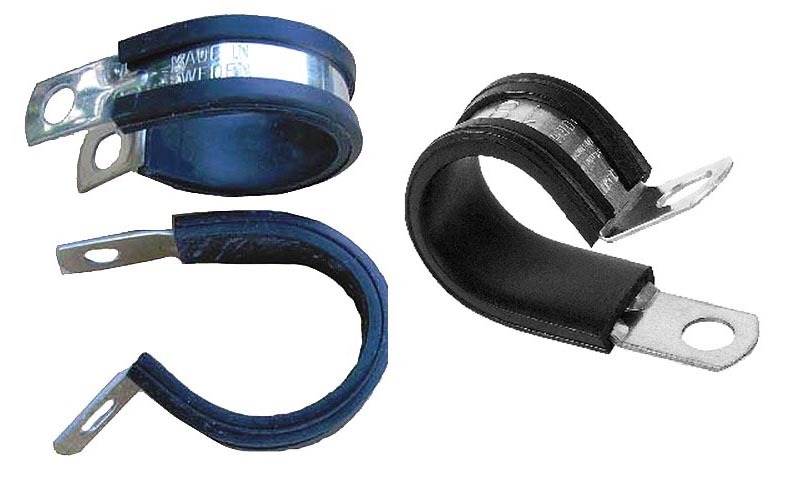 Rounded edges ensure the clamp grips firmly without cutting the hose. 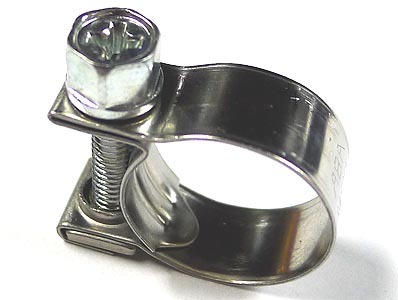 Nut is retained in the lug, even when the screw is removed.